Bees are the most important pollinators, but over 100,000 invertebrates—including butterflies, moths, wasps, flies, and beetles—and over 1,000 mammals, birds, reptiles and amphibians, act as pollinators. Unfortunately, pollinators are in decline worldwide. Habitat loss, invasive species, parasites, and pesticides are largely to blame. Join NWF’s growing movement of Wildlife Gardeners who are have made the choice to nurture their own small piece of the Earth–their own yards and gardens–with the needs of wildlife like pollinators in mind. It’s as simple as subscribing to our free Garden for Wildlife e-newsletter. Each month, we’ll send out NWF’s expert tips and projects on how to attract birds, butterflies, pollinators and other “backyard wildlife” to guide you as you become an expert yourself. Native plants co-evolved with the native wildlife of your region. Native plants form the foundation of habitat for pollinators by providing them with pollen and nectar for food, cover from the elements and predators, and places where their young can grow. The best way to attract beautiful butterflies, busy bees, speedy hummingbirds and other pollinators is to fill your yard with native plants. There are 4,000 bee species native to North America (the honey bee is a European import) and most of those don’t form hives. Instead, individual female bees lay their eggs in tunnels in decaying wood or in sandy soil. You can offer such nesting spots by leaving tree snags on your property, by leaving bare batches of sandy soil, or by building or buying whimsical native bee houses. Bees are our most important pollinators, and they are insects. So are butterflies like the monarch. Using insecticides will kill these insects. Herbicides will kill important native plants such as milkweed that pollinators rely upon as a food source and a place to raise young. Make the commitment to avoid using chemicals and to maintain your garden in a natural, organic way. The iconic monarch butterfly has declined by over 90 percent in just twenty years. One of the main causes of this decline is a lack of milkweed, the species’ only caterpillar host plant. Without milkweed, monarchs can’t complete their lifecycle and populations plummet. By planting milkweed in your own yard, garden or neighborhood, you’ll not only attract these beautiful butterflies, you’ll be providing crucial habitat that will allow their caterpillars to survive. 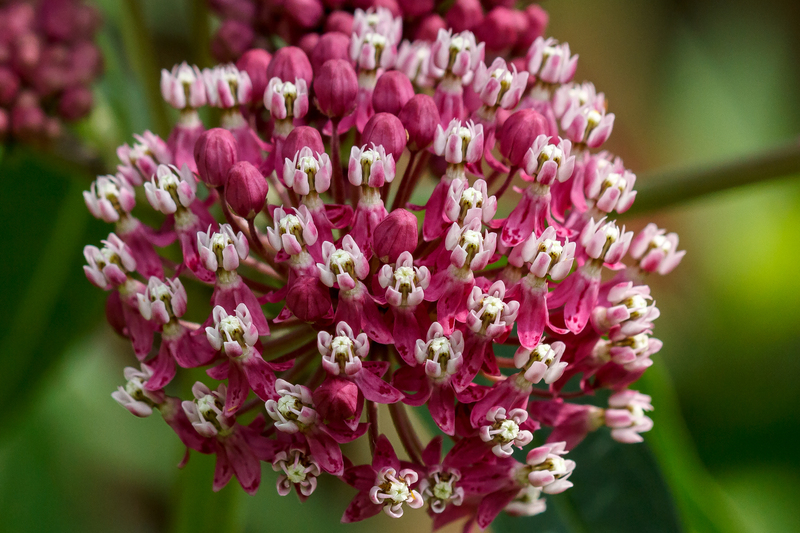 Find out what milkweed is native to where you live and how to get it. You can symbolically adopt a monarch butterfly and directly support NWF’s work to save this declining pollinator. We’ll put your adoption purchase to use immediately to support our work to protect and restore monarchs and other vulnerable wildlife. We’re filling thousands of backyards with nectar plants and native milkweed—the one and only host plant for monarch caterpillars—and working alongside national partners to bring monarchs back from the brink. Adopt a monarch today. America’s native grasslands are critically important for pollinators such as bees and monarch butterflies. Our grasslands are filled with native plants that offer nectar and pollen for bees, butterflies, hummingbirds and a wide variety of pollinators. They also provide milkweed, the only host plant for monarch caterpillars. Today, more than 90 percent of native grasslands have been converted to cropland and development. Grasslands are disappearing faster than any other ecosystem in North America, and that’s a big problem for pollinators. Join NWF in fighting to save grasslands for monarchs. Eleven of NWF’s state affiliates are active partners in the Garden for Wildlife program, teaching people how to create habitat for bees, monarchs and other pollinators. They offer regional expertise and resources, offering native milkweed seeds, running monarch tagging and citizen science efforts and even working on legislative solutions. Joining these efforts is a great way to get involved on the local level. 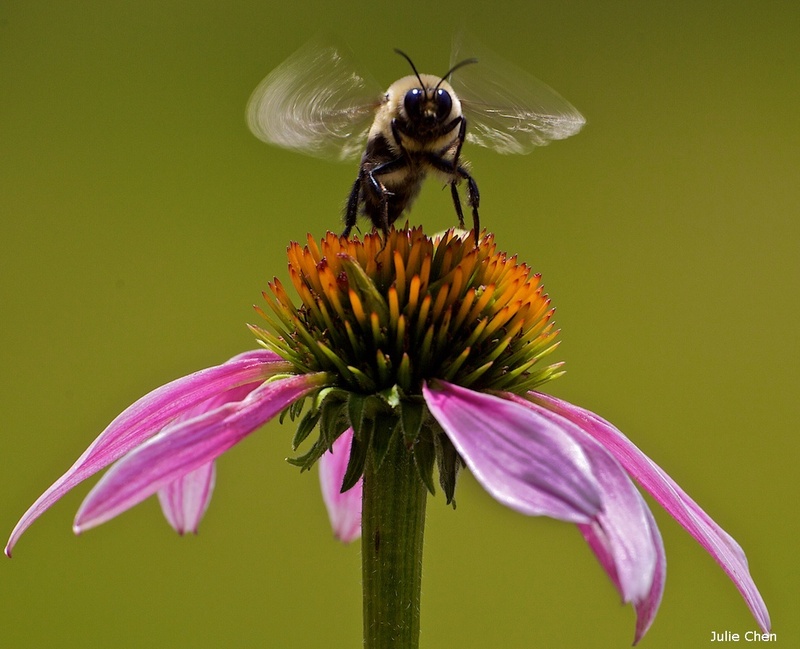 Find out if your state’s NWF affiliate is working to protect pollinators. When you create a pollinator garden and certify it with National Wildlife Federation, you become part of the exclusive group of people who can post a Certified Wildlife Habitat sign. The sign is a wonderful way of letting your friends and neighbors know about all the hard work you’ve done to make a difference for wildlife like pollinators. Posting the sign is also a grassroots way of spreading the message that each of us can make a difference by creating a pollinator-friendly garden or landscape and inspiring others to follow your example. Certify now and get your sign, or if you’re already certified you can order a sign here. You can amplify National Wildlife Federation’s call to action by spreading the message about the plight of bees, monarch butterflies and other declining pollinators on social media. Take a minute to share this post on Facebook, Twitter and your other social media networks. That simple act can help take the message to millions more people than we can reach alone. Be sure to tag our Facebook and Twitter pages too! The National Wildlife Federation is joining with dozens of conservation and gardening organizations as well as seed groups to form the National Pollinator Garden Network and launch a new nationwide campaign – the Million Pollinator Garden Challenge. You can participate the Million Pollinator Garden Challenge by turning your yard or garden into a Certified Wildlife Habitat via National Wildlife Federation’s Garden for Wildlife program. It’s as simple as providing food, water, cover and places to raise young for pollinators like bees, butterflies and hummingbirds. Then visit our website to certify your habitat.